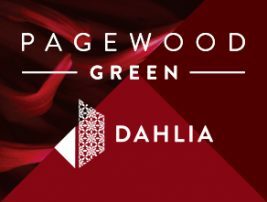 Introducing Dahlia, the next stage release of the iconic master planned community in Pagewood Green is just 8km from the Sydney CBD. Bringing a unique offering of 1, 2, 3 and 3 + study bedroom grand residences with superior finishes and views of the surrounding parklands. Dahlia offers a superb selection of 167 oversized apartments and terrace style ground floor residences. Rising eight floors, it captures never-to-be-built-out views towards the eastern coastline and inland over the expansive Central Park. With 1, 2, 3 and 3 + study bedroom apartments to choose from, this is your opportunity to secure your apartment in Pagewood’s most revolutionary masterplan, Pagewood Green. For over 50 years, Meriton has become Australia’s largest and most reputable developer, building over 70,000 apartments with a 100% completion record across Sydney, Brisbane and the Gold Coast. Meriton apartments are synonymous with quality and luxury. Uniquely designed by industry acclaimed architects and built by our highly skilled and experienced construction teams. We pride ourselves on the highest levels of workmanship to bring you award-winning developments. Meriton offers a complete and tailored apartment solution, helping you buy, manage, rent and sell. We’re with you all the way.